Posted on May 14, 2018 at 12:56 pm. Your transmission is the mechanism that sends the power of your engine to the wheels of your car. The transmission experiences an elevated level of daily wear and tear due to high heat and friction from various components of your car. This wear and tear, over time, can lead to an array of transmission problems and a high-priced bill from your mechanic. Luckily, many of these transmission problems can be diagnosed by having a basic understanding of what signs and symptoms to look for during your daily commute. What does it mean? One or more components in your transmission has failed or worn out. This failure can be due to high mileage, loss of transmission fluid, or improper use/abuse of your vehicle. What does it mean? Your transmission has overheated due to intense use and fluid breakdown. You may smell something “burning” this is typically the smell of burning fluid from a leak. Overheating fluid can be caused by either low fluid level or by using the wrong type/brand of transmission fluid. Be sure to check your fluid levels often and ask your mechanic which transmission fluid is right for you. What does it mean? Your car is losing automatic transmission fluid (ATF). ATF is vital to the health of your car’s transmission as it cleans, lubricates, and prevents the engine from seizing. Leaks can be caused by physical damage (running things over), or in some states, corrosion, typically from harsh weather. What does it mean? Typically, your car should shift and accelerate smoothly. If you notice any shaking, grinding, or odd noises while shifting your car, you could be experiencing problems with your car’s gears. As the problem gets worse, your car may “jerk” when shifting and will take time to “wiggle” into first gear. What does it mean? A flashing check engine light is an indicator of an issue that has occurred somewhere in your car and could indicate any number of issues. If you notice any of the above issues your flashing light is more than likely a result of transmission issues. Bring your car to your mechanic to be inspected. They will be able to look at this check engine light for a code that your car produces and will give you advice on what steps to take next. 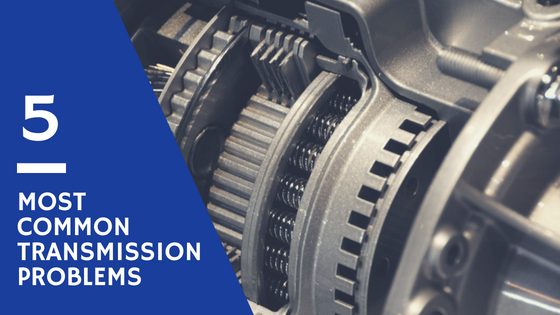 Transmission issues are serious business and are best diagnosed by trained professionals in order to save you money in the long run. If you believe that your car is having transmission issues, bring your car in to your local dealer or mechanic for diagnostic testing and inspection. Be sure to document what you have noticed and bring it to their attention. For more information about vehicles and the products you need to care for them, contact Berry Products today!